Δελτίο τύπου: «The single of the US-Metal Band Sleeplord "The Hammer" was released on Soundcloud. The release date of the album "Levels Of Perception" on CD is May 31st, 2019. Sleeplord, from Ohio, release their debut album "Levels of Perception" through Pure Steel Records. This first effort has classic metal flavorings combined with thrashy elements and a heavy groove influence. 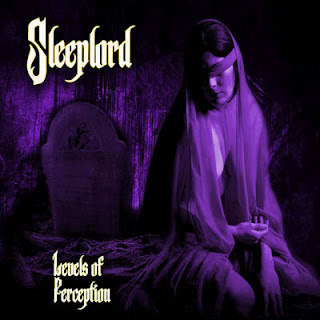 Bio: «Sleeplord is from Grafton, Ohio formed in 2015 by Joshua Pitz. With the addition of Ted Anderson on Vocals, the band had found it's signature sound of High Octane Metal. Despite a few member changes on bass and drums through the years, Sleeplord is now complete and ready to TEAR IT UP. The band's sound is very abrasive, punchy, just IN YOUR FACE Heavy Metal with elements of Doom and Thrash.